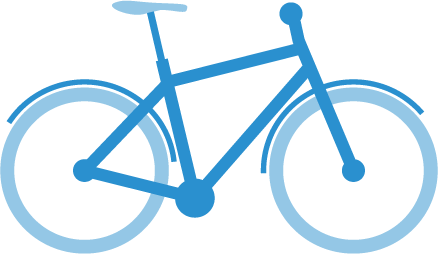 A correctly sized bike will not only be more comfortable and easier to ride, it will be faster and more efficient too. 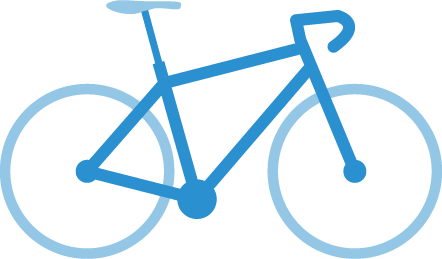 Our comprehensive bike sizing guide will put you on the right track to getting the right size bike, first time, every time. Please be aware that these guides do not cover specific manufacturers, who often use their own sizing systems. Personal preference may also influence the size of bike you choose. Please feel free to start a Live Help chat session with us, or call us on 01792 583 000 to discuss your ideal bike size. Our expert advisors have many years of combined experience in bike sizing, covering all the brands we sell. 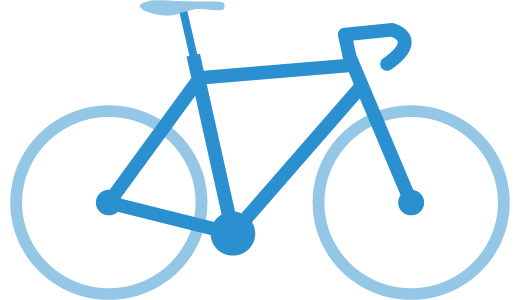 The two main measurements needed to correctly size a bike are your height and inside leg (inseam). An easy way to measure your height is to remove your shoes and stand up straight against a wall, make a small pencil mark on the wall level with the top of your head, then using a measuring tape measure the height of the mark off the ground. 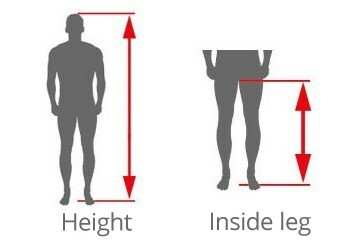 To measure your inside leg, stand with your legs approximately shoulder width apart with your shoes off, then measure from the ground up into your groin. You can also use a pencil to mark your inside leg on a wall and measure it later. Your inside leg measurement is taken to ensure the standover height of your bike is adequate. The standover height is the distance between the top tube of the bike frame and the ground. It is recommended to allow for at least 1 inch of clearance between the top tube and your inside leg. 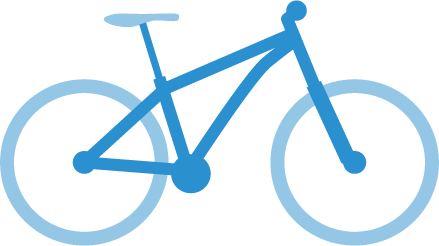 Adult bikes are measured by their frame size. Most manufacturers now measure the frame from the centre of the crank axle, to the top of the seat tube. 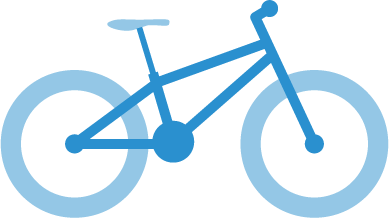 Most road bikes are measured in centimetres (cm), whereas mountain bikes are generally measured using inches (in). Kids' bikes are measured by wheel size rather than frame size. Smaller wheeled bikes are lighter and easier to handle for smaller children, but will become cramped and difficult to ride as they grow. Kids' bikes are available with wheel sizes ranging from 12 inch balance bikes up to 24 or 26 inch junior bikes. Road bike sizing is arguably more important than any other type of bicycle. Almost all your time will be spent sat in the saddle of a road bike, so your riding position will not only contribute to your comfort, but also your performance. Road bike sizes are typically given in cm and are sized using a combination of your height and inside leg measurement. Only 1 inch or so of clearance over the crossbar/top tube is needed. Road bike sizing will vary between different manufacturers so if you are unsure which size would be best suited to you, please feel free to call us on 01792 583 000, or use our Live Help service. 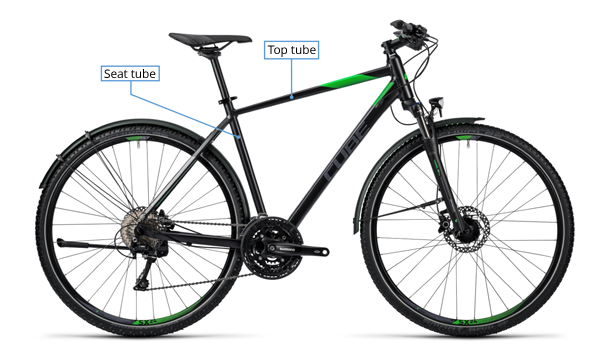 Mountain bikes have smaller frames than road bikes, which allows the rider to move around more on the bike to help negotiate the challenging terrain. Mountain bike stand-over heights are generally much lower than road bikes, so your inside leg measurement isn’t so important. Compared to a road bike, your seating position on an MTB will be more upright, with your arms spaced wider apart and weight positioned further back. Kids' and junior bikes use 12” to 26” wheels. It is recommended to allow at least 2 inches of clearance above the top tube for children, however most smaller bicycles (up to 20″ wheel) will have a naturally low standover height regardless. The tables above are intended as a general guide only. 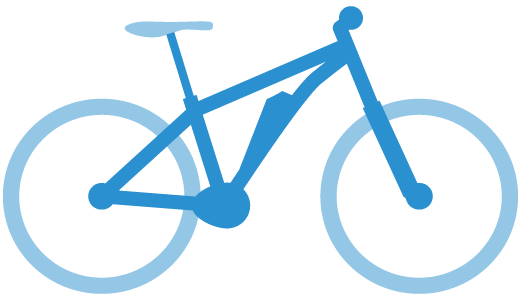 Your riding style and personal opinion can have an effect on your choice of bike size. Our advisors have years of experience helping customers find their ideal bike size, so feel free to call us for advice on 01792 583 000 or chat to us via our Live Help service at the top of the page.